The plaque is located in the Gerringong Uniting Church, formerly Gerringong Congregational Church, Belinda Street. 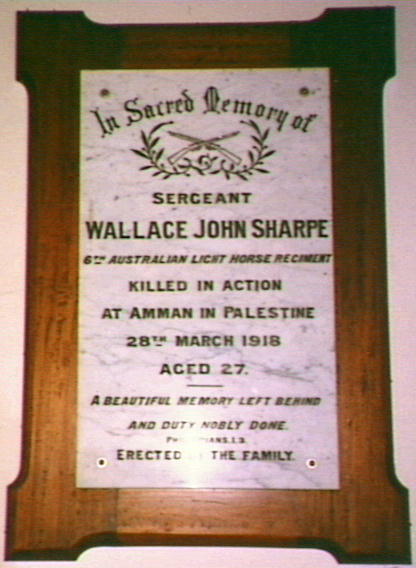 In Sacred Memory of Sergeant Wallace John Sharpe, 6th Australian Horse Regiment. Killed in action at Amman in Palestine 28th March 1918 aged 27. A beautiful memory left behind and duty nobly done Philippians 1:3. Erected by the family.